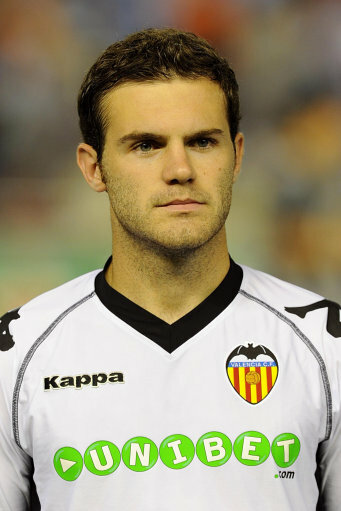 Sky Sports News has announced that the deal for Valencia’s Juan Manuel Mata has finally gone through. The transfer fee varies - depending upon which channel you watch or paper you read – between £23m and £26m (within a few days the media will no doubt add a bit more to this fee and cite his wages at the equivalent amount of clearing the debt of a third-world country). Chelsea TV also confirmed that Mata was at the Bridge finalising personal terms on Saturday night. I haven’t seen that much of Mata, although he is described as a pacy, wide, creative midfielder (an unusual but desirable mixture) but perhaps not a winger in the traditional sense of the term as he tends to cut in when attacking (much like Malouda). Mata will probably be 2-3 weeks behind in fitness compared to the rest of the squad so we may not see him on the turf of the Bridge against Norwich. Mata is of course, a different type of player to Modric, so this transfer will not preclude the Modric deal going through. Modric has not been selected tonight to face Man Utd as “his head isn’t right” according to Redknapp. Hey villa boas,we all thank you for bringing the golden boy to our squard,teach him the role to play and we believe he will deliver for us,dont forget to look for luka modric in way.thank you blues for life.